Leveraging upon the well-developed resources, we have developed high-grade Paper Tubes. These cylindrical Paper Tubes are extensively used for packaging purpose at various textile or yarn making companies as these are easy to cut & dispose. 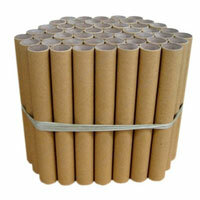 We make the Paper Tubes from recycled paper & other material like metal, plastic, glass and wood. 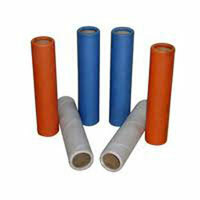 The clients can avail the Paper Tubes from us for transit of posters, papers & other roll-able items. All Rights Reserved. Saroja Texcone.